Items placed on Reserve must be in compliance with copyright law. 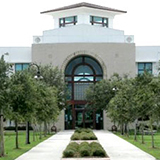 See Faculty Guidelines for FAU Course Reserves for details. The Employee of the Year Award recognizes those employees who consistently exhibit superior job performance and high levels of quality service. Nominations may be made by co-workers, students, alumni, or other persons who come in contact with FAU Libraries employees. 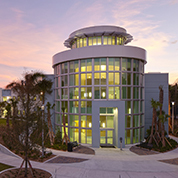 The Professional Development Award seeks to recognize the efforts of FAU Libraries staff members toward the improvement of both job related and other skills through continuing education, training, and professional activities. The Systems Department is pleased to assist you with property removal requests! *Please note that a minimum of 5 business days notice is required when requesting property removal. The item(s) you are requesting to be removed must remain in the location you enter on the form. Hector Moyet will contact you when he is notified of the pick up date for the item(s) by FAU Property. Complete this form to request space for your meeting or event. The completed form will be forwarded to the appropriate department for approval and confirmation of space. Please note that when a reservation request is made, it can take up to ten business days for the Library Administration staff to process the reservation. You will be notified about the status of your request and will be sent any other required forms or procedures that will be needed. 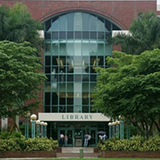 * See FAU Libraries Space and Room Usage Policy for important information. The library recognizes that student assistants are very important in assuring an efficient operation and in making the library a pleasant place to work. To name a "Student Assistant of the Year" is a way to honor and reward outstanding student assistants in the Library. The award is intended to recognize a student employee who displays exemplary performance in areas of his/her employment: positive attitude, judgment in a particular situation, high level of service to patrons, etc.